Inland Mfg M1A1 Paratrooper--Brand New!! 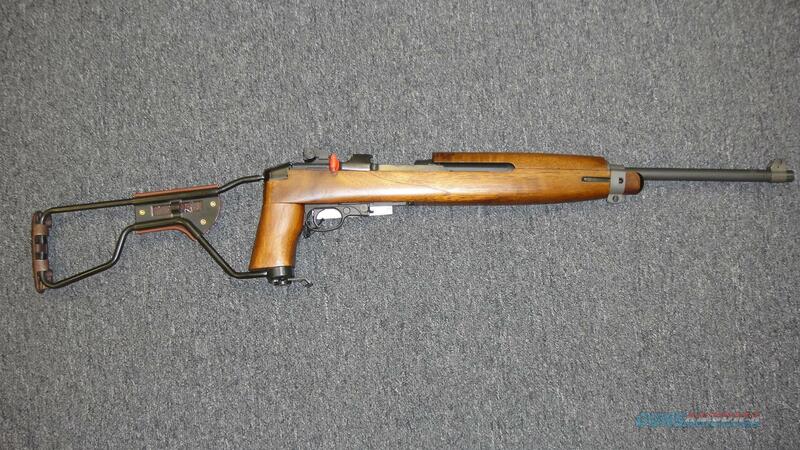 Description: This new Inland MFG M1 Carbine (Para Trooper) is a semi-auto rifle that fires the .30 carbine round. It has a 18" barrel and black finish. It is new and comes with one 15 round magazine, side folding paratrooper stock, sling, lock, box, and manual.